Gold and silver markets are trading relatively quiet this week as the U.S. stock market continues to show surprising strength. It’s surprising at least to investors who expected markets to reflect growing political threats to the economy. ?As the partial government shutdown enters an unprecedented 28th day, economists are warning of a significant hit to first quarter GDP. News Anchor: Newmont Mining is buying smaller rival Goldcorp for $10 billion, paying an 18% premium. The deal creates the world’s largest gold producer, just as easy-to-find gold reserves decline. Newmont shares fell on the news. Goldcorp skyrocketed. Reuters correspondent Liana Baker is covering the story. Liana Baker: There’s just fewer and fewer places in the world to mine for very valuable gold, so by having a bigger company, they’ll have a better chance of getting access to the right deposits. 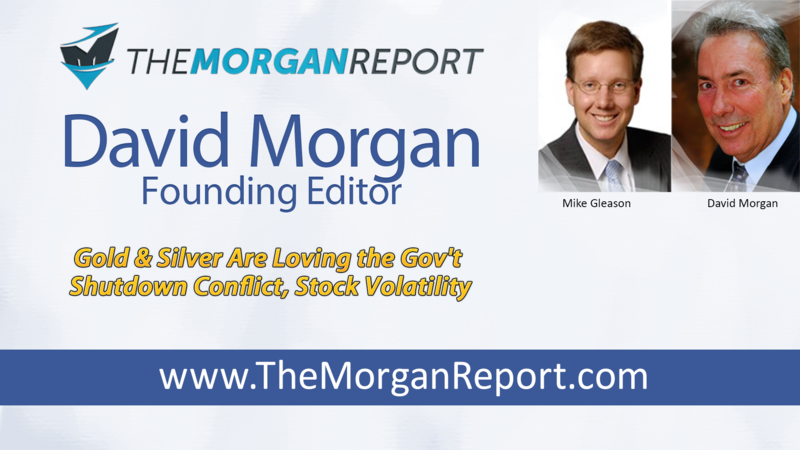 Mike Gleason: It is my privilege now to welcome in our good friend, David Morgan, of The Morgan Report. David, it’s always a real pleasure to have you on, Happy New Year to you and welcome back. How are you? David Morgan: Mike, I am well, and thank you for inviting me. It’s great to start the New Year with you. Mike Gleason: Well, David, I’m excited to do a bit of a market preview for 2019 with you today and we’ll get your thoughts on a number of different markets. 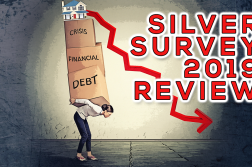 Now, we managed to finish 2018 relatively strong in gold and silver. Volatility in stocks and a more dovish posture from the Fed helped create a bid for metals in December. We’re now two plus weeks into the New Year, stocks have rallied off the bottom put in on Christmas Eve. We know Treasury Secretary, Steven Mnuchin, had a conference call with other members of the Plunge Protection Team. He spoke personally with the CEOs at the nation’s largest banks. It looks to us like he got the response he was looking for. Somebody is buying stocks again and we aren’t too sure natural forces are behind it. At least metals prices are holding up okay. What is your take? Does the rally we’ve seen in stocks have legs and what are you expecting for gold and silver and how they might respond here? David Morgan: Great question. It’s a very typical question and I certainly am going to answer it. I just want to preface it with this, Mike, that we all get a lot of criticism and I’m subject to it, as well. Rightfully so in a lot of cases. What most people don’t understand, that aren’t paid members, is that anything in life you’ve got to correct and continue. So, if I make a call today and it sounds great and people make a decision based on that, doesn’t mean that three days from now I’m not going to correct and continue. In other words, something I say long-term may not hold but, believe me, as long as I’ve been in these markets, when I’m wrong I promptly admit it and make an adjustment. Having said that, I really don’t like the trading action in the last week or so. Gold just can’t seem to get through that $1,300 ceiling. 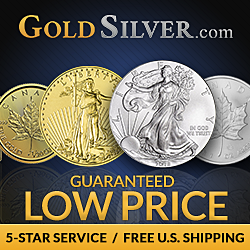 Silver is trading as, for the last month, roughly outperforms gold two to one. Roughly, gold’s been up about five percent in the timeframe that you mentioned at the beginning and silver was up almost 10 percent in that same time frame. At this point in time, as we’re doing the interview, they’re both languishing here. They don’t seem to have much momentum. So, I actually expect somewhat of a pullback. I was hoping for a strong January all the way through, could be wrong. If I am, I’ll adjust. I think we’re going to have to see a little bit of a downside. It did accelerate pretty strongly, as you mentioned. Maybe they got a bit ahead of themselves. Having said that, I want to be emphatic about the next statement. Longer term this year, gold and silver will do better and they’re likely to outperform the stock market this year. Mike Gleason: Like many of us in the precious metals space, you have been paying attention to the developments of Bitcoin and cryptocurrencies. Our take is that crypto offers some real promise as honest money if developers can solve the problem of scale, if it can approve itself to be beyond the reach of governments and regulators and if one these coins can get widespread adoption, the world would have a medium of exchange that not can be inflated or controlled. That would be a wonderful innovation for the cause of liberty but, those remain pretty big ifs. In the meantime, people are finding out that Bitcoin was massively oversold as a store of value, perhaps. Prices have fallen about 80 percent from a year ago. That is our take, but we’d like to get yours. Where is crypto headed from here in your view, David? David Morgan: Yeah, I’ll preface it here with, I’m certainly not an expert but I study all markets. Market behavior is market behavior, whether it’s soybeans, cryptocurrency, silver, or the financials. There’s certain patterns and certain things that are basically natural law to markets. Having said that, Bitcoin’s got a struggle ahead of it to get back to its former glory. I think there’s a possibility that it will. I doubt it will be this year. There’s massive overhead resistance at certain levels and those will have to be overcome. I do hold a very biased view that it’s possible, not probable but possible, that the next leg up cryptocurrencies could be, not would be but could be, led by the gold and silver asset backed cryptocurrencies. I think there really is a direct tie between honest money, free money, sovereign money, and blockchain. So, this combination has been married by several innovators that are taking that idea and moving it forward by having an asset backed or money backed with gold and silver backing. I think, again, it’s possible that you might see that in the next leg up. And if they were constructed correctly, then what you could see is a lot of demand coming into those as a store value and money itself, meaning a means of exchange. I know that’s a big statement and you prefaced it the same way, Mike, which I’m grateful you did. But, let’s not hold out weakness. Let’s come from a position of strength, which means that the possibility exists, which means that the market, itself, if it likes and adopts the idea, it could go a lot further than perhaps we are, at this point in time, thinking about. Mike Gleason: You’ve got an interesting point. When it comes to the privacy of crypto versus precious metals, will someone planning a transaction find more privacy at a Bitcoin exchange or at a precious metals exchange? David Morgan: Well, I’m fairly studied on this and my study comes from the guys at the top, people who are most aware, astute, and knowledgeable about Bitcoin. There’s a lot of people at the Anarchapulco Conference that are much better versed in cryptocurrencies than I am and I’m a life-long learner. I love to learn and I’ve learned a lot from these people. Based off that and some, I won’t name … I was going to put some names out there but, some of the top people basically have said in all honesty that, if you think that these cryptos are absolutely anonymous, think again. Now that doesn’t mean there isn’t some anonymity to it with keeping your wallet offline and all this other stuff but, it’s still on the blockchain. So, if some agency really wanted to find out what was going on, pretty much most of the time it could be done. Whereas, if you take a gold coin, a silver coin, or coins, and you make a transaction with your neighbor for an automobile or a piece of fruit or what have you, that’s pretty much an anonymous exchange. From an absolute objective perspective, really trading money coins for some goods or service is a lot less traceable, than something that’s done on the blockchain, at least at this point in time as far as I’ve studied. Mike Gleason: Switching gears here a bit, obviously, the environment for the metals and miners hasn’t been too great over the past few years and the miners have really had a tough run. You’ve got to think we’ll continue to see more mergers happening in the space in the coming months as some of the stronger companies look to capitalize on the soft environment and look to acquire more mining operations on the cheap. Now we’ve recently been hearing about a big merger between Newmont and Goldcorp and I wanted to get your thoughts on that. What did that say to you and what do you make of that deal, David? David Morgan: Mike, I hate to throw another name at you but I know you’re pretty forgiving. I did an interview with Kitco on that exact question. People that are interested on an in-depth take might check Kitco News from a day or two ago and they’ll see my exact response. But overall, Mike, I am not favorable to it. I’m not sure that the Goldcorp shareholders are getting the best deal available. And even if they are, my broader view is this, it’s like the banking sector, which means the more and more power that’s put into fewer and fewer hands, the less flexibility the system has, so it becomes more fragile. And it’s also got more control. It’s sort of like going from a bi-metallic standard where the bankers had to honor both gold and silver as means of final payment, to a gold-only standard where they had a lot more control. So, I don’t really like it from the perspective. The other part is that, once you’re that big, it’s extremely difficult to continue at that size, at least in the gold industry because, barring a breakthrough in technology, which I don’t rule out … in fact, I’m quite aware it could happen …. I think we’re really at peak gold. It’s going to be more and more difficult for these huge conglomerates in the gold industry to continue to find deposits that they need to continue the production rate. Mike Gleason: Oil has appeared to have finally bottomed out in late December and it’s had a really nice run since then and has gone from roughly $42 a barrel to $52, or so, over the last three weeks, roughly. Is this the start of a new, bold market in commodities led by crude oil, David, or is this just a dead cat bounce? Basically, what do you see ahead for oil here? David Morgan: Very tough call. There’s not enough data. I’m neutral to positive in oil this year. My big picture is that we’re having slow down, economically, on a global basis, which means, as energy moves everything, there’ll be less demand for energy. However, there’ll be exceptions to that. Also, we don’t really know what can take place geopolitically. Oil is quite volatile when you factor in tensions in the Middle East and the geopolitical climate that we’re all under, where there’s all these problems out there regarding, not only, the Middle East but China and the saber rattling between their islands after they built where there’s conflict or potential conflict. And they’re bringing Taiwan back into China. There’s all kinds of red flags out there. Oil will react to that if there’s any disruption or any geopolitical situation or a war that’s unwinding flares up again. Very tough call, but as it stands today, I’m neutral to positive. I do like the energy sector a great deal. It’s the most important sector we have as commodities, as you eluded to, Mike. When you see a strong oil market, you usually see it pull up most of the other commodities. Copper’s been pretty weak. I don’t like the copper chart and copper is not as good an indicator of global health as it used to be, in my opinion. I really think oil is a better barometer but, if you do use copper, what it’s signaling right now is so far correct, meaning stagflation, which is higher prices, especially for things we need like food, but, slower economic activity. So a slowdown in the amount of production but a higher cost to get those things. Mike Gleason: Obviously, when you talk about oil you also have to talk about the dollar. What’s your outlook for “king” dollar in 2019? David Morgan: Another tough call. It looks like it topped out. It looks like it’s going to get somewhat weaker, overall. 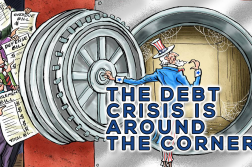 But you’ve got to remember the dollar has a lot going for it still, not only as a reserve currency but, it’s one of the currencies with the biggest bond market and it’s got a positive yield and the yield’s being increased because the Fed’s increasing interest rates. So, there’s a lot of appeal to the dollar still. I’m basically neutral on the dollar and I’ll make another call as things change. David Morgan: Absolutely. If I’m correct in my overall analysis that stagflation is basically the meme for the year, and that means a lower stock market from this point to the end of the year and it’ll go up and down and fluctuate, all markets do. That will put more impetus into the commodity sector but, again, if we have a global slowdown, then the top-tier of the commodity sector, which is money, gold and silver will be the best assets to hold. I think we had a pretty good prelude in December and, I know I’m rehashing old ground to make this point… silver outperformed gold almost two to one in the four-week, five-week time frame. That’s a pretty good clue that, going forward this year, that we’ll see something similar, which means the gold/silver ratio will finally come off that peak of 85, 86 and maybe move down to the 70, 72 level or better. It’s hard to say at this point in time, over the year. Mike Gleason: Yeah, you always say that you like to see silver lead when the metals are moving up. Now, how about palladium? Gosh, we talked a lot about palladium here on this podcast over the last month or so. It’s this amazing outlier that just continues to go up and up. Obviously, there’s lots of issues there when it comes to supply and the lease rates have been exploding in the futures market. We talked last week with David Jensen about it and how that could potentially, maybe, break the exchanges as people start to realize that there’s just so much unbacked paper here in these exchanges. David Morgan: Well, I’m going to pat myself on the back and then slap my face at the same time. I got all of our, the paid members in The Morgan Report, in palladium at the right time. I, unfortunately, got out in January last year around the thousand, $1,100, mark. Obviously, with 20/20 hindsight, I wish I slapped my face that we had held another year. I did a write-up in a current issue and as far as disrupting the markets, it already did. It’s an absolute fact, and people can look this up, that when Ford Motor Company switched their automobile line for their catalytic converters from platinum to palladium, and they work in both Diesel and gas, believe it or not … there’s some tweaking that goes on, I don’t have time to explain that. So, Ford just basically made this massive order for physical palladium and it basically disrupted the market to the point where they had to, for all intents and purposes, close it down. And palladium, if you look at the chart, went off from the hundreds of dollars to $1,100, almost straight up. And that shows you, one, what a small market palladium is and, two, that physical demand can absolutely take control of the market and it did. So, this could be a replay. I haven’t listened to David Jensen’s latest interview. I think I listened to one a while back. I think he’s pretty spot on. I don’t want to vouch for him but, the idea is correct. If you had a physical demand in one of these commodities, to me, it’s always been absolutely ridiculous that platinum and palladium are even on a futures exchange. I’m going to digress a little bit further, Mike, if you allow me. I’ve been through some of the depository that are COMES approved and one such facility I had a really great tour. And one of the caverns within this huge vault was basically held for palladium. The owner opened up and showed me the shelf holding these palladium plates. And that was the end of the tour. I started thinking about it at lunch and I started to do some calculations in my head. What I realized in just that rather sizable vault, the amount of palladium that I’ve looked at was probably 50 percent of the physical palladium on the planet. Think about how small a city is relative to the world itself. I digress. It kind of stunned me when I thought about how small these markets really are and how important that metal is. That metal and platinum, they’re both very important metals. I digress. I’ve come back, Mike. Go ahead and shoot me another question. Mike Gleason: Yeah, that’s quite an amazing market and very small. You think gold and silver markets are small, gosh, the platinum group metal markets are even small. As we begin to wrap-up here, David, give us your outlook for the economy, as a whole, maybe touch on some of the other key events or storylines that we haven’t touched on today that you’re going to be watching, whether that be Fed policy, the government shutdown perhaps, possible reversal of Brexit maybe, strife in France and other Euro nations. David Morgan: That left me wide open and thank you. I think I want to do more from a philosophical standpoint. We are in a vast sea of change right now, globally. We have huge geopolitical forces and they’ve both come to extremes, at least in the United States. The two ideologies are vastly opposed. And all this is leading to a vast change that’s taking place. I think we’re going to see a change, maybe not in this year but going forward, on the economic system, on how nation states interact with each other, maybe even on the monetary system, and politics in general. We’re basically seeing a shift from top-down command control back to sovereignty of individual nation states. This is what Brexit’s about, this is about nationalism, all the stuff you hear. There’s numbers of people and ideologies opposed to that. That will continue and that means more and more change, probably more and more rapidly, and more and more disgruntled and unhappy populace. So, I expect to see more of what we’ve already seen, and I expect to see, probably, more disruptions than anyone really wants. And this is, to put in a metaphorical slant, more like burping pains. This is a painful thing for a lot of individuals, and I’m not talking U.S. only. I’m talking on a global basis. China seems to have the most command and control and their citizenry, for the large part, seems to be accepting it. For the most part, there is of course resistance. You don’t hear about it because, if you say too much, you get a lower social credit rating and you’re penalized. They have implemented a system that’s basically totalitarianism at its finest, meaning that they have absolute control. And it isn’t quite absolute, but pretty close. Lots of things that concern me greatly, Mike, a lot of people that are still kind of unaware of this big picture of what this means in the new term, meaning the next five years or so. Most are unaware of there’s something going on well beyond the political back and forth between the left and right paradigm, which is more meaningful and people are more or less asleep about it. You’ve got the 5G network, which disrupts DNA. You’ve got climate situations, which are unnatural to put it in polite terms. You’ve got GMO foods, which are disruptive, again, to the human biological system. You have a never-ending, ceaseless, invasion of your privacy through different means, primarily your smartphone. You have a lot of things that are absolutely, in my studied opinion, more important than just this political back and forth that we’re continually inundated with. So, what I would leave with this 2019 is, look at what you can control. Look at your health, what you’re putting in you body, what’s healthy. Look at your mental state. Keep a good attitude and try to focus on something that you’re grateful for at least once a day. Look at what you really have because, when I was in China, I picked up a phrase that I still continue to say to myself almost on a daily basis. And that is, “the emperor is very far away.” Which means, at least which means to me, even though the political system may not be to your liking or whatever, how much does it really affect your day? You get to make your day or create your day in some way. People that are working for the man, or whatever, obviously you’ve got a job and you don’t like and you’ve got to attend it blah, blah, blah, blah. There’s still things you can do. You can make a lot of choices during that day that improve your lifestyle. I do want to go a bit into that philosophical mind because we’re in very, very stressful times. People that don’t understand it, feel it. That’s a strong belief of mine. A lot is going on and I’ve outlined, from the top down, what I think is important to focus on. That doesn’t mean it is but, what I am suggesting is a lot of people that may be blind to the overall bigger picture sense just the same that something isn’t right with what’s going on. The last comment I’ll make is, I’m not much of a TV watcher but, I specifically tune into 60 Minutes and listened to this Chinese gentleman. I’ve already forgot his name but he talked about AI. He’s an expert in AI and how over the next, I think he said 20 years or 10 years, you’ll see 40 percent of the jobs right now will be taken over by AI. Primarily, the one he mentioned that, and I think he’s correct, is anybody that drives for a living, long-haul truckers, people driving water trucks or gasoline or florist delivery or any of that stuff. That alone is huge. So, lots to change ahead of us, keep a good attitude, stay healthy, have a strong faith, whatever that is. I’ll close it out there, Mike. Mike Gleason: Very well summarized. Yeah, a lot to digest there, and well said. Well, outstanding. It’s nice, as usual, David. It’s shaping up to a be an incredibly interesting year in the market. I look forward to following it with people like you here on our weekly podcasts. Now, before we let you go, please let people know how they can learn more about The Morgan Report and what it is that they’ll get if they want to sign up to become a member, if they want to hear and read what you and your team have to say about all these market events as things play out here in 2019 and beyond. 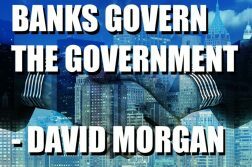 David Morgan: Well, right now, the easiest thing is to get on the free Morgan Report newsletter and that means just go to TheMorganReport.com and give us a first name and an email. I do have Twitter feed, it’s SilverGuru22. I have a YouTube channel, it’s called The Morgan Report. And if you’re on the free email list, we’re making a change this year in 2019, Mike. We do base some offers in there. Sometimes it’s from dealers like you do that do a great job of providing silver at a lower premium. Sometimes, there are other competitors in the newsletter industry and that type of thing. We’re not done and we’re changing is that, every time I do a market update like this, we’re going to put it out that day or the next day. 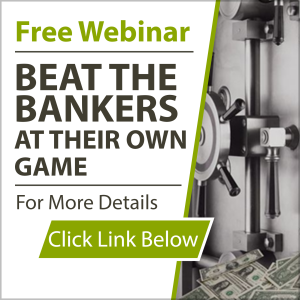 If you sign up for the free report, you’re not only going to get my weekly summary that comes out every weekend, which is a wrap-up and save you a massive amount of time for what’s important in the financial system. But, you’re also going to get every interview I do as they become available. So, you’ll not only get offers that you may or may not like. You’ll be getting updated information as quickly as we can make a turnaround from an interview or a podcast or something that I write or some video that I make or something like that. So, you should be getting more information from me in a more timely manner in 2019 than we’ve done in the past. Mike Gleason: Very good. That’s something that everybody should take advantage of. Thanks very much for your time, as always. All the best to you in the New Year and appreciate it. Thanks very much, David. Mike Gleason: Well, that will do it for this week. Thanks, again, to David Morgan, publisher of The Morgan Report. To follow David just visit TheMorganReport.com. We urge everyone to, at the very least, go ahead and sign up for the free email list as David was talking about there, start getting some of his great commentary on a regular basis. And if you haven’t already, be sure to check out David’s recent book co-authored with another good friend of ours, David Smith, titled Second Chance: How to Make and Keep Big Money During the Coming Gold and Silver Shock Wave, which is available at MoneyMetals.com and other places where books are sold. Be sure to check those out. And don’t forget to check back here next Friday for our next Weekly Market Wrap Podcast. Until then, this have been Mike Gleason with Money Metals Exchange, thanks for listening and have a great weekend everybody. Next Article TRUMP vs. FED Signals End of 75-yr DOLLAR REGIME!